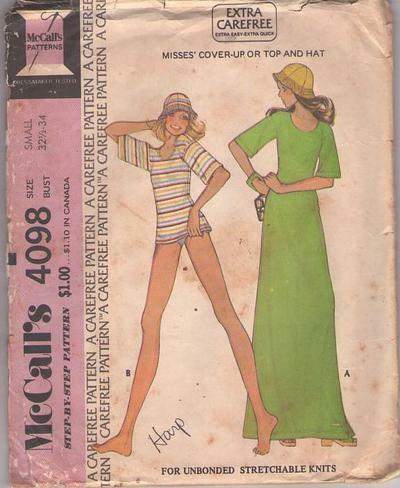 1974, 70s Summer, Retro Beachwear Clothing Patterns - Stitch trimmed cover-up or top has scoop neck and dropped shoulder line. Cover-up A has side vent. Six gore hat has stitch trim.